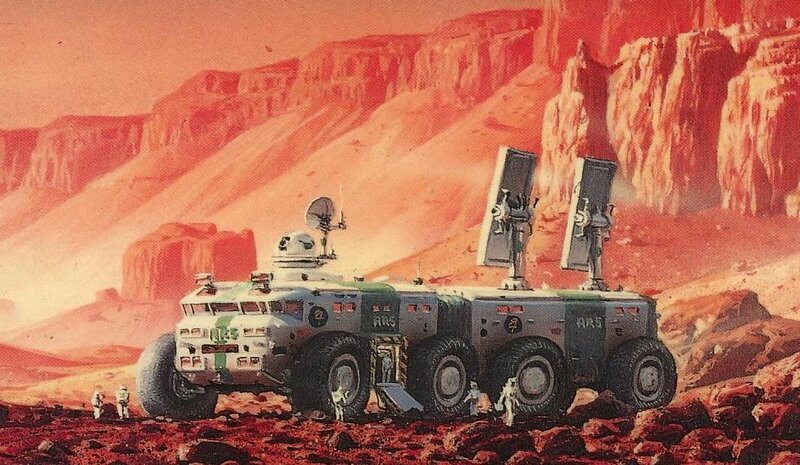 Kim Stanley Robinson, whose seminal Mars trilogy (coming soon to TV?) changed the way we talk about our neighboring planet, says that Musk's Mars colonization plan "is sort of the 1920s science-fiction cliché of the boy who builds a rocket to the moon in his back yard." Robinson, who has previously warned that space exploration can be used as an excuse to trash our own planet, has written convincingly about the difficulties of sustaining life away from Earth (his novel Aurora is brilliant on this score). He says that Musk's vision "is not believable, which makes it a hard exercise to think about further" -- rather than being colonized by a single leader from a single company, Mars colonization "ill be multi-national and take lots of money and lots of years."